Fill in the form below or give us a call to start the booking process. To become a Network Specialist, you need the right education. But employers don’t necessarily look for Degree-level qualifications anymore. Most employers prefer a technical certification as it’s direct proof of your knowledge and suitability to do the job you’re applying for. Career specific training here is key. 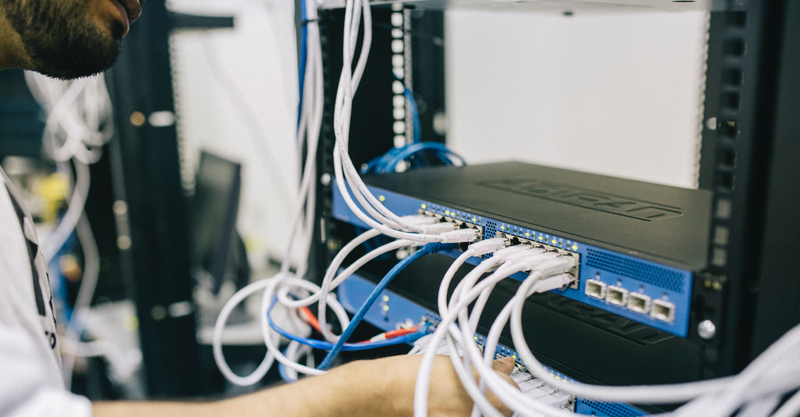 Yes, employers will expect to see your knowledge of LANs, WANs and other networking systems alongside your expertise with routers and switches. They’ll also look for personal attributes too - if you have the ability to analyse and problem solve, have good communication skills and can describe technical terms in non-technical ways, you’ll stand in good stead. What Does It Mean to Be a Network Specialist? As a Network Specialist, you’re the main port of call when it comes to the integrity and security of a company’s network and the systems connected to it. Your knowledge of network connectivity, network security devices, network types and common OSs will be second-to-none. Your role will see you responsible for troubleshooting, diagnosing and actioning repairs and identifying ways of streamlining processes. As your career progresses, you could see yourself responsible for monitoring security threats and network access. That’s the benefit of a career as a Network Specialist – you’re indulging your passion for tech with a clearly defined career. Your earning potential is incredible - we’re talking an average starting salary being £20k, with advanced roles anywhere up to £46k. How Do I Qualify as a Network Specialist? There’s no simple fix for becoming a Network Specialist – you’ll need to put in the work to build up your knowledge. There’s no point spending time and money getting a certificate that’s of no benefit to your career. You’ll need to get a professional certification that’s geared towards your career path – think of qualifications for specific vendors that will boost your career like Microsoft, CompTIA and Cisco. As part of this unit, you’ll build an understanding of network infrastructures, network hardware and protocols & services. Gain thorough knowledge of an introduction to networks, networking topologies, connectors and wiring standards, IP addressing and IP subnetting, wide area networks. Develop your understanding of building networks, network device management, network security, troubleshooting connectivity wide-area networks and implementing EIGRP based solutions. What Do I Need to Know About the Network Specialist Course? Get started in your new career as a Network Specialist in as little as 3 months and find flexibility with online learning. Learn at your own pace, with access to full tutor support throughout your course. Graduate with certificates in Microsoft Networking MTA, CompTIA Network+ and Cisco CCNA Routing & Switching. Plus, if you choose to upgrade your learning to our Premium Network Specialist course, benefit from addition certificates in Administering Windows Server 2012 R2 and Configuring Windows Server 2012. At The Training Room we strive to offer our customers first-class service and training at competitive prices. In order to uphold our IT Price Match Guarantee we actively monitor the prices offered by our competitors. If you find a cheaper price for the same training - we'll match it.